"Even though confetti is just a little detail, that 'confetti moment' is just magical! It's your first steps as newlyweds, your nearest and dearest surround you as confetti swirls through the air..." Sarah, Everland Favours. We have been throwing things over happy people since the 15th Century in Rome when it was thought to enhance the joy of an event by tossing sugar candy in the air. 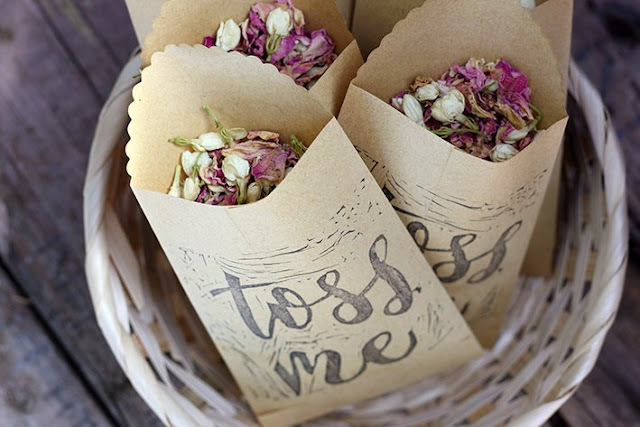 This tradition has changed many times over the years and another popular confetti type turned into small, colourful pieces of paper. 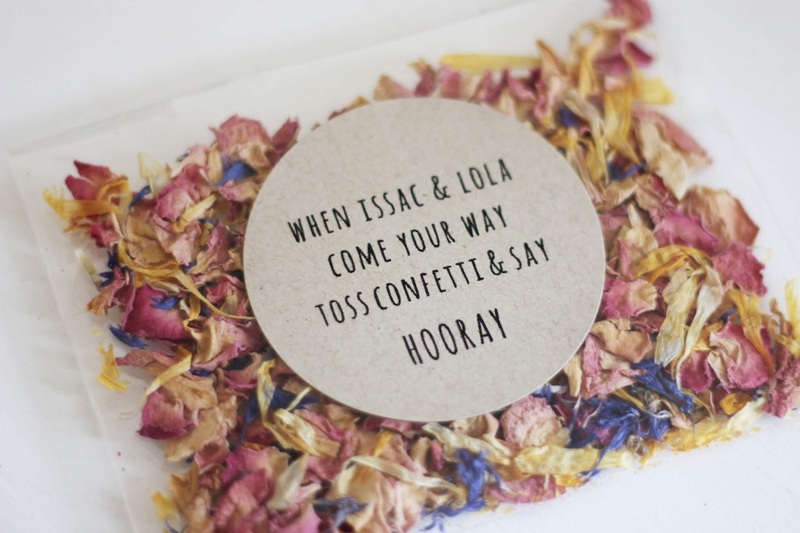 For the enviro-conscience couple, we have the perfect alternative - 100% biodegradable confetti! 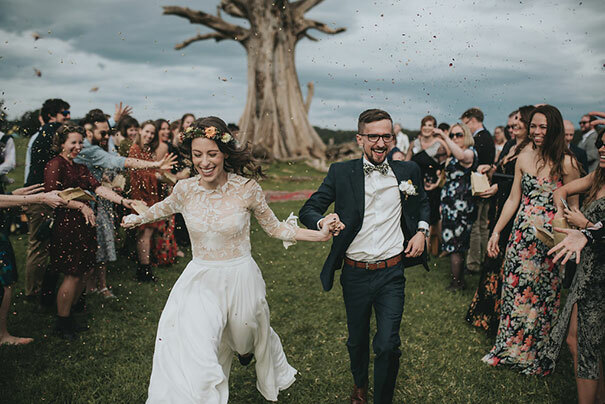 Everland Favours create personalised, made to order, biodegradable confetti products for you and is solely an online business, shipping all over Australia. 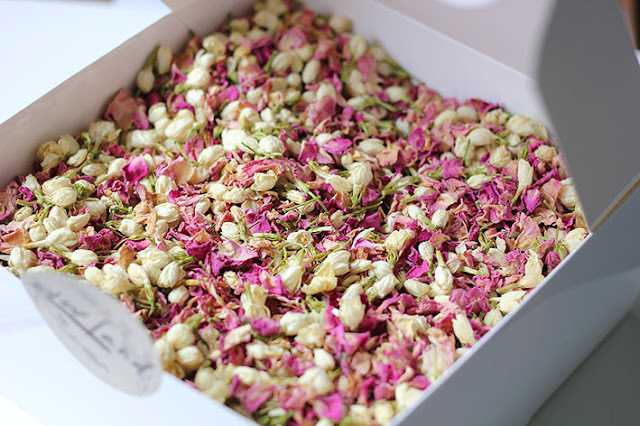 The petal toss blends are hand mixed to order and all design and creative is done in house. "I started Everland when I got engaged and started planning our Wedding. I was thinking of all the little details that come together to make it special and what things I could do myself. I realised that while I could do alot of the small features, like sewing my own confetti pouches, making favours, invitations etc, alot of Bride's to be don't have the time, or eclectic skills set I do. So after watching many of my close friends weddings come together (I am a three time bridesmaid), and seeing what an extensive planning process it is to get your dream day, I thought I would put my services out there and see how it went. That was well over a year ago and I'm so happy to say things are going well!